Last week’s announcement by Julia Gillard that Australia would impose a price on carbon pollution from July 2012 was as predictable as the response from her opposite number that the move was a betrayal of the people’s trust. What isn’t so predictable is how this is going to pan out. 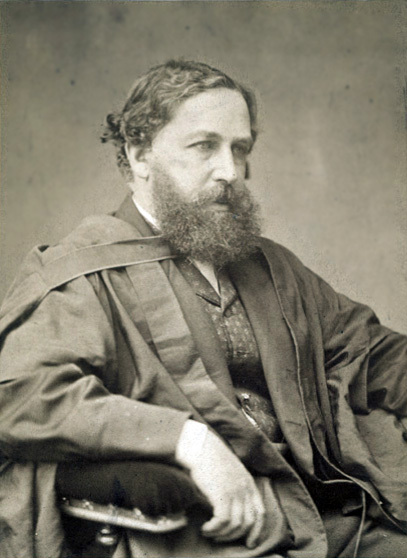 William Stanley Jevons, pioneering political economist and originator of the “Jevons Paradox”. Jevons spent five formative years as an assayist at Sydney’s Royal Mint. In coming months we’ll hear plenty more about why we must have an interim fixed-price scheme (a carbon tax) ahead of emissions trading, and plenty more opposition charges about a government driven by Greens in jackboots, as the parties play out their standard political pantomimes. But there’s a subtext to the debate about a carbon price that neither party will want to raise — Tony Abbott’s Liberals because they think the whole thing is absurd, and the government because it leads into a very uncomfortable place. But it’s a place we all have to go, sooner or later. It’s all about the role of energy in our economy — specifically, how energy affects the price of everything we do and what will happen when we no longer have access to cheap oil and coal. The book was the first airing of an idea that’s since become known as the “Jevons Paradox”, which roughly stated says that when people or corporations get the benefit of improved energy efficiency, the likeliest outcome overall is that more energy will be consumed. How could this be? Why wouldn’t a more economical family car or power station automatically result in lower fuel consumption? Referring to the British steel industry, Jevons argued that if less coal were used in a blast-furnace for the same yield, the price of pig-iron would fall but demand for it would increase. Greater profits and new capital would bring greater production, making up for reduced consumption by each unit and resulting in greater coal consumption overall. Which is exactly what happened. The implications of the Jevons Paradox, also called the “rebound effect”, are starting to resonate once more around economic circles. US economist Harry Saunders has applied it to the modern global economy and found some worrying implications for energy policy everywhere. “Direct rebound”, such as when people respond to having more energy-efficient cars or homes by raising their level of activity, has been written off by most economists as too small an issue to be more than a peripheral problem. That may be true, but Saunders points out that two-thirds of all energy is consumed indirectly to produce goods and services. Making a car or a washing machine — or a hybrid motor car, a photo-voltaic solar panel or a wind turbine — involves a lot of “embedded energy” in mining, smelting and fashioning metals, making other components, assembling the parts, and transporting the finished item to where it will be used. Money saved by a household on efficient appliances tends to be re-spent on other things whose production involves energy, while, as Saunders puts it, “more productive use of our money spurs a more robust economy, demanding even more energy”. And so the cycle repeats itself, endlessly. It’s this indirect use of energy that seems to be the biggest blind spot in analysing the role of energy in our economy. Very few people seem to see it; more to the point political and business leaders, driven by economic orthodoxy, seem to repel any suggestion of it, as if such a thing is toxic. UK energy analyst Steve Sorrell has put the case for a radical rethink on how the rebound effect applies to current energy efficiency policies, arguing that economists have badly underestimated energy’s role in the economy. Observing that the falling energy intensity of industrial economies has failed to stop both energy consumption and carbon emissions from rising over the last century, Sorrell points to “the long-term effect on global energy consumption from the adoption of new technologies”. Among these new technologies are such things as hybrid cars, wind turbines and photo-voltaic solar panels. All of today’s technologies, including these “clean, green” icons, cannot be economically deployed without cheap fossil-fuelled power to manufacture and transport them. We’re coming up against some brick walls here. Today’s debt-based economies depend heavily on both growth (needed to pay interest on debt) and a huge consumption of fossil fuel. The economy as we know it could never survive the sudden, arbitrary removal of one or both of these buttresses. Given that we can’t suddenly abandon our growth economy and that such growth depends heavily on cheap fossil fuel, the goal of Australia’s Professor Ross Garnaut and others to decouple energy consumption from economic growth is starting to look like an impossible dream. But we have no option but to try. We have to find a way of getting real, physical results in the form of radically lower emissions. While the way forward is very unclear, there can be no doubt that a price on carbon emissions is an essential component of this great effort. • At Rosny College at 5.30 pm on Thursday, the Minister for Climate Change, Nick McKim, will introduce a Tasmanian Climate Action Council panel discussion on how Tasmania can be “future-proofed” against a changing climate. To reserve a seat for this free event, call 62327173. This entry was posted in Australian politics, carbon, carbon emissions and targets, climate politics, consumption, economic activity, emissions trading, energy, energy conservation, energy efficiency, fossil fuels, growth, human behaviour, leadership, peak oil, psychology, social and personal issues, social mindsets and tagged Australia, Australian politics, carbon, carbon emissions and targets, climate change, climate politics, consumption, economic activity, emissions trading, energy, energy conservation, energy efficiency, fossil fuels, global warming, growth, Harry Saunders, human behaviour, Julia Gillard, leadership, Nick McKim, peak oil, psychology, Rosny College, Ross Garnaut, social and personal issues, social mindsets, Steve Sorrell, Tasmania, Tony Abbott, William Stanley Jevons. Bookmark the permalink.